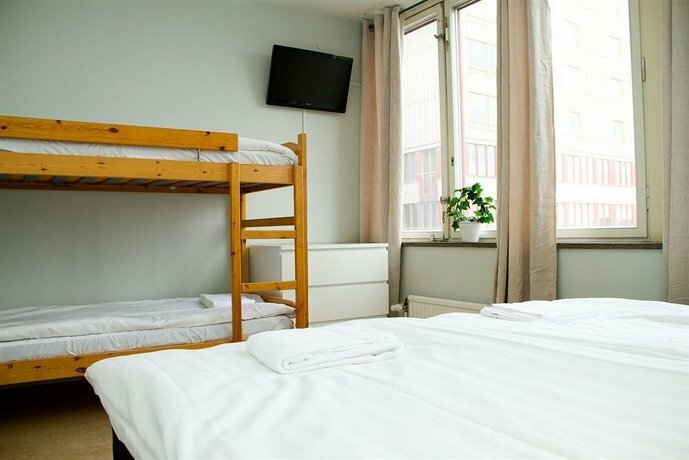 Masthuggsterrassens Hostel is a popular budget accommodation centrally located in the Masthugget neighborhood in Gothenburg, Sweden. Most of the rooms have a view over the Gothenburg harbor. 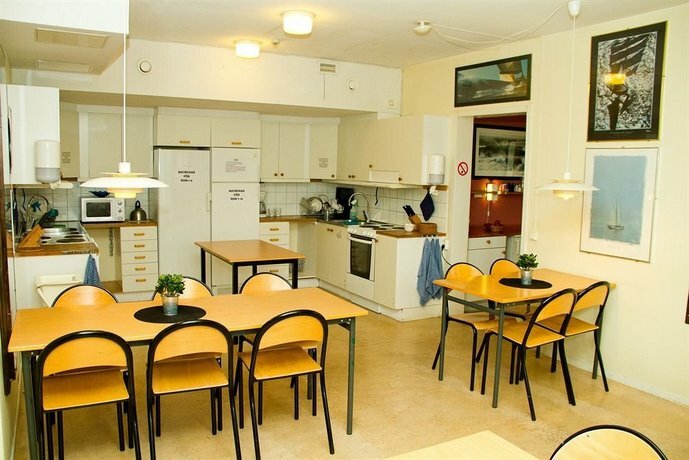 Everything Gothenburg has to offer is within a short distance from the hostel. Many of the city’s theatres, shops, museums, cinemas, cafes and restaurants are within walking distance. As a guest, you may use any of the well-equipped kitchens of the hostel to prepare your meals. The front desk is open 24/7. Many guests appreciate the helpful staff! 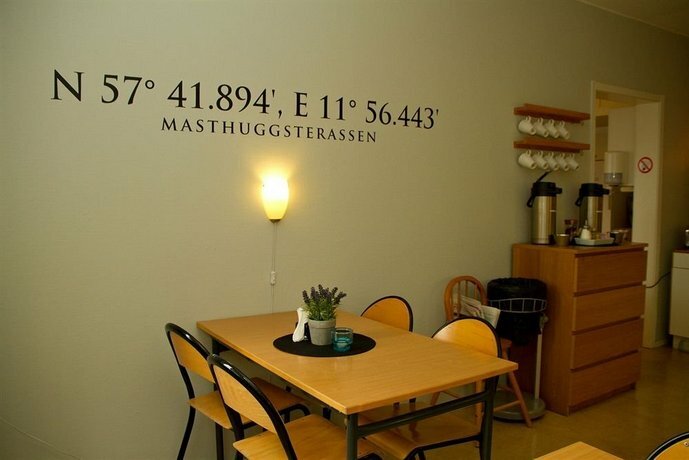 Masthuggsterrassen Hostel offers three room sizes. The double rooms are available as Economy, Standard or Deluxe. The triple rooms all come as Economy while the quad rooms are available as Standard or Deluxe. All rooms are modern and comfortable but for a more luxurious experience you should opt for the Deluxe option. All rooms have complimentary WiFi and a flat screen TV with a large selection of channels. Every room also has a desk in case you wish to work during your stay. All rooms have access to a shared bathroom. An extra bed can be arranged at a cost of 170 SEK per night. Bed linen and towels are not included in the price but can be rented for 65 SEK per bed. Optionally, you may bring your own. You can choose between cleaning your room yourself before checking out or paying the 80 SEK cleaning fee.